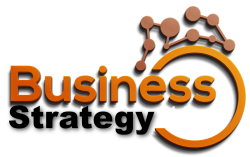 Welcome to Business Strategy NZ, The community created to connect Entrepreneurs, Owners, Start-ups, Investors and people at all stages of their business journey. Everything we do, we do because we believe passionately that when people connect with each other, this ignites growth in all areas – in business, personal, and all areas of life are enriched through the energy created by connection. So we attract and nurture a community of inter-connected people and companies, and through the power of that network comes a series of events, informal networking get-togethers, business referrals, workshops, and 1:1 learning & growth. Join in the rhythm of conversation, share your business journey, and connect with like-minded people at our regular events. No matter what your stage of business, we have a suitable level that you can opt into in order to get a richer experience from Business Strategy NZ. From Observer to Corporate, there is an opportunity for all members to benefit as subscribers registered here in the community. Take the chance to join right now, add a Personal Profile and then a Business Profile for your enterprise. All BSNZ payment processing happens securely with STRIPE. Prices above are inclusive of NZ GST.